Orange County District Attorney Tony Rackauckas has accused county Supervisor Todd Spitzer of “falsely impersonating” an assistant district attorney, the latest salvo in a years-long public feud between the two politicians. SANTA ANA, Calif. – The Orange County District Attorney’s Office (OCDA) wishes to honor life and achievements of the prolific DNA expert and head of the OCDA DNA Unit, Assistant District Attorney Camille Hill, who passed away suddenly last Friday, May 20, 2016. “The OCDA, Orange County, and the state of California have been grateful beneficiaries of the talent, passion, and knowledge of Assistant District Attorney Camille Hill,” said District Attorney Tony Rackauckas. “These so called Safe Spaces are an anathema to free expression and are a not so vailed form of ‘totalitarian group think’ where ideological deviation is not tolerated and outside opinions are to be destroyed, not challenged. 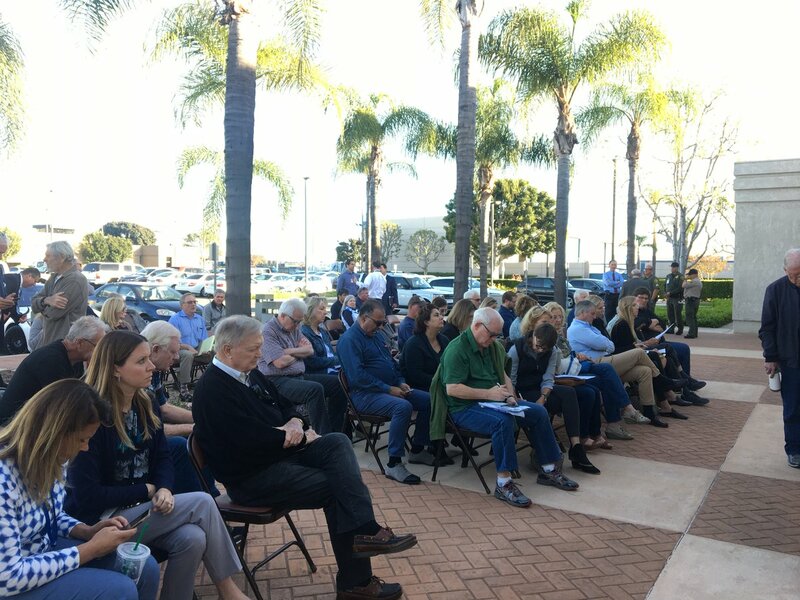 Orange County CA – Republican Elected officials called on the administration of the University of Irvine to provide security protestation for Conservative Speaker, Milo Yiannopoulos. Members of the County’s Republican elected officials praised the courage of the College Republicans for hosting the controversial speaker and strongly condemned Political Correctness, ‘Trigger Warnings’, and ‘Safe Spaces’ for destroying academic freedom. “The extreme form of political correctness on college campuses isn’t just silly it’s a real threat to American principles. A new board and president have been installed at the Santa Ana Police Officers Association as some officers have demanded a more aggressive, confrontational style in dealing with city leaders. Last week, county officials welcomed Susan Price, OC’s new homelessness services coordinator. Meanwhile, county supervisors voice frustration as their agendas tighten up with year-end contracts. FULLERTON, CA—In response to his visit to Orange County today, full-time classroom teacher and 65th Assembly District candidate Sharon Quirk-Silva today denounced presumptive Republican presidential nominee Donald Trump for his past and continued hate speech targeting wide segments of society. “Donald Trump represents the kind of huckster politician that has no place in a civil democracy,” said Quirk-Silva. “He is another in a long line of political bullies who pits one group against another for his own gain. More than 70 years ago, Beverly Beesemyer, a 97-year-old Laguna Woods resident, was among the first women to fly military aircraft. In recent years, she has been part of a successful effort to convince Congress that these women deserved to be buried at Arlington National Cemetery. (Sacramento) – Senator John Moorlach (R-Costa Mesa) today joined the California Small Business Association (CSBA) in honoring the Orange County Business Journal(OCBJ) as the 2016 Small Business of the Year from the 37th Senate District. OCBJ Editor Jerry Sullivan joined Senator Moorlach at the CSBA awards luncheon in Sacramento and accepted OCBJ’s award on behalf of Chief Executive and Publisher Richard Reisman. The ceremony’s featured speakers included President Pro Tem Kevin de León, Senate Minority Leader Jean Fuller, Speaker Anthony Rendon, Assembly Minority Leader Chad Mayes, and Insurance Commissioner Jones.